We know pretty much all celebrities use social media to reach out to their fans online. With Google+ relatively new to the social arena, you can’t find all the celebrities here. But that’s all about to change. Day by day more and more celebrities are flocking to the Google+ social network. Unique features like Google+ hangouts on Air is very appealing to celebrities as it helps to get in touch with their fans throughout the world in real time (it is a cool video conferencing feature absolutely free of cost). We have written quite few posts about some of the celebrities who have already joined Google+. Britney Spears, Will.i.am, Dalai Lama, etc.. Recent addition to the list is Shah Rukh Khan one of the leading indian bollywood actor who has fans world wide. After joining Google+, SRK had a google+ hangout live and talked to hundreds or even thousands of his fans world wide. There is a 2 hours recorded video of the hangout on SRK’s posts. Unfortunately since it is a private video, we couldn’t embed or link the same with this post. As part of an effort by Google+ to bring in more and more celebrities to the network, Google – a pioneer in online ad’s ran a 2 full page Printed Ad on Times of India (a leading indian newspaper). So is this just the beginning of indian movie celebrities joining Google+? We’ll watch closely in the coming days and weeks. 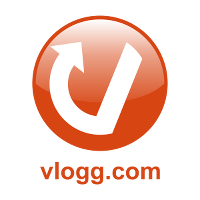 Video Blogging : Record Video on the Fly and Share With Your Circles and Friends on Google+!